The host presents the most recent news, updates and developments around the country with particular focus on the state of Kerala. 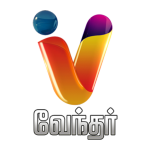 Vendhar TV is a Tamil television channel which is created by the SRM group. The channel is an entertainment channel which has a wide variety of programs and events on it. We at YuppTV have decided to bring this channel to our customers and make it available to the people all over the world who want to view it. Now, people can watch Vendhar TV Live on PC, Smart TV, Android Mobile, IOS etc via YuppTV. There are a lot of people abroad who cannot get a lot of Tamil TV channels on their cable or elsewhere. It is our duty to provide solutions to these people by allowing them to watch their favorite channels on YuppTV. There may be a lot of people who may become homesick when they are abroad and may want to have some touch with their homeland which may make them feel happy. When these people visit our website they can feel that connect and touch to their homeland with all the movies and the channels that we provide in their regional languages. People can watch Vendhar TV Live from anywhere at the exact same time on their TV, PC, Laptop, Mobile and on many devices.